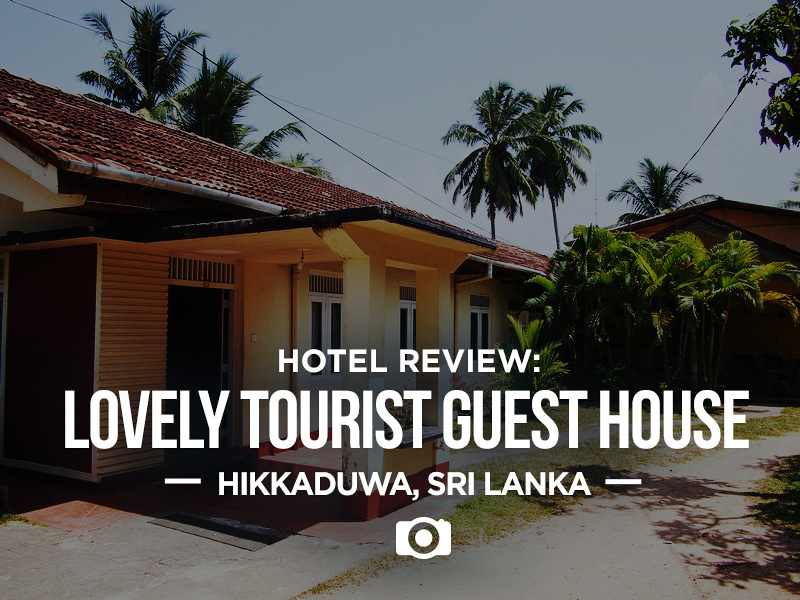 I stayed at the Lovely Tourist Guest House in Hikkaduwa, Sri Lanka. 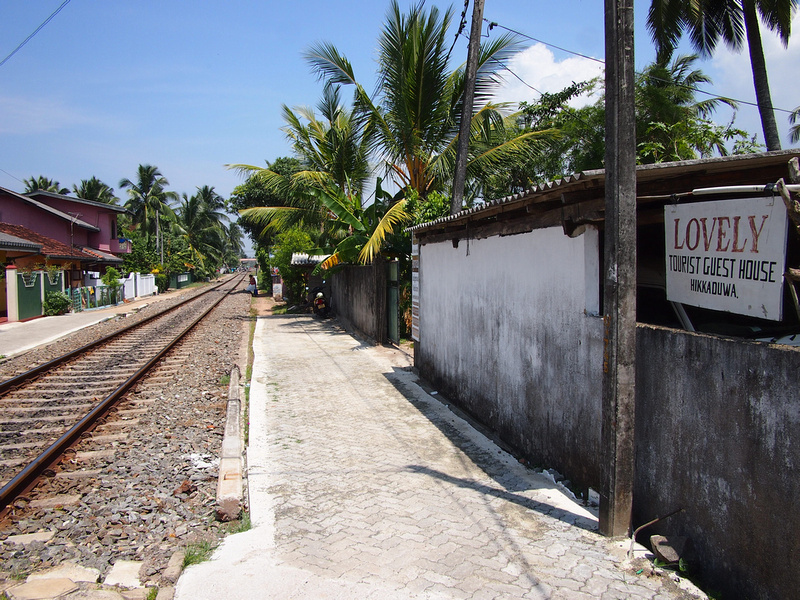 I found this by doing what I rarely do – getting a room from a tout at the train station. I only had half a day in Hikkaduwa so I wasn’t too concerned about finding a place on the beach, and I didn’t want to be walking around for an hour, so I went with him. The tout was a nice guy which helped, and the room was not far from the train station. I was planning on getting an early train the next morning, so that also swayed my decision. I after seeing the room I took it for the rate of 2000 LKR ($15 USD). It wasn’t in the best condition but it was one of those situations where what was on offer will do for a night. 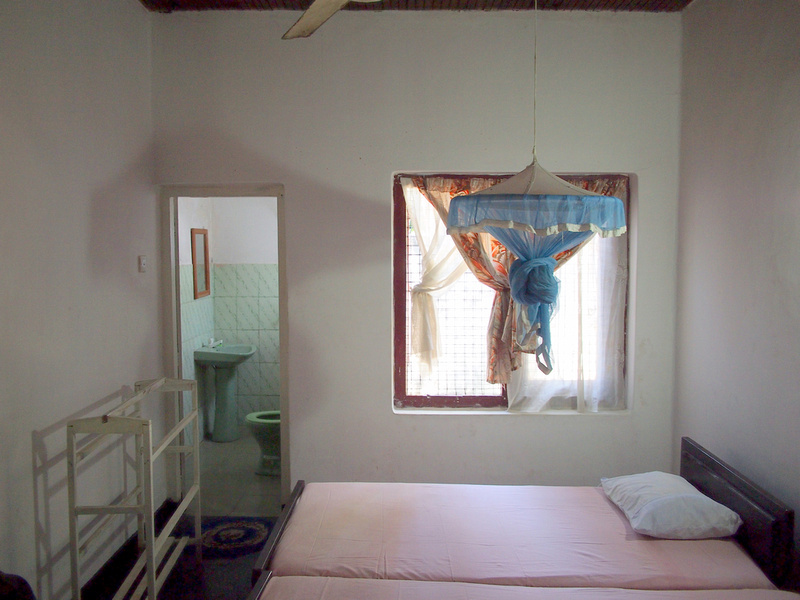 The bed was the usual Sri Lankan guesthouse style of being hard and thin. There was a mosquito net at least, which is an essential article in Sri Lanka. 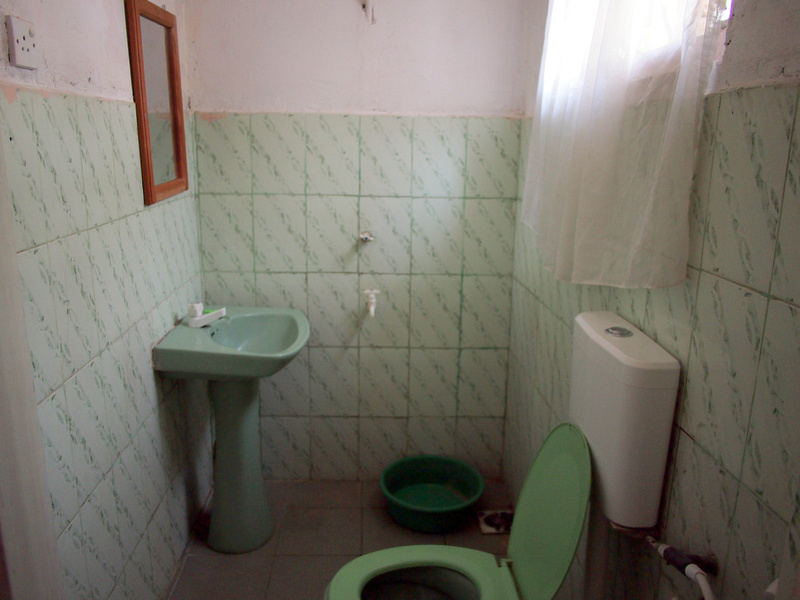 Cold water shower and western toilet (note: I haven’t seen a squat toilet in any guest house in Sri Lanka, compared to India where cheap guesthouses often have a squat toilet). It turns out that the wifi signal in my room was too weak to work from so I ended up sitting in the lounge or outside in the garden to get the internet. And as I mentioned it is not far from the train station. In fact it is right on the train line, so if you are sitting in the garden you ge to see the trains go by (which isn’t that frequent). With the hard bed and poor wifi I no doubt could have done better finding a cheap guesthouse. If you are looking for a place I would recommend something on the beach at the southern half. 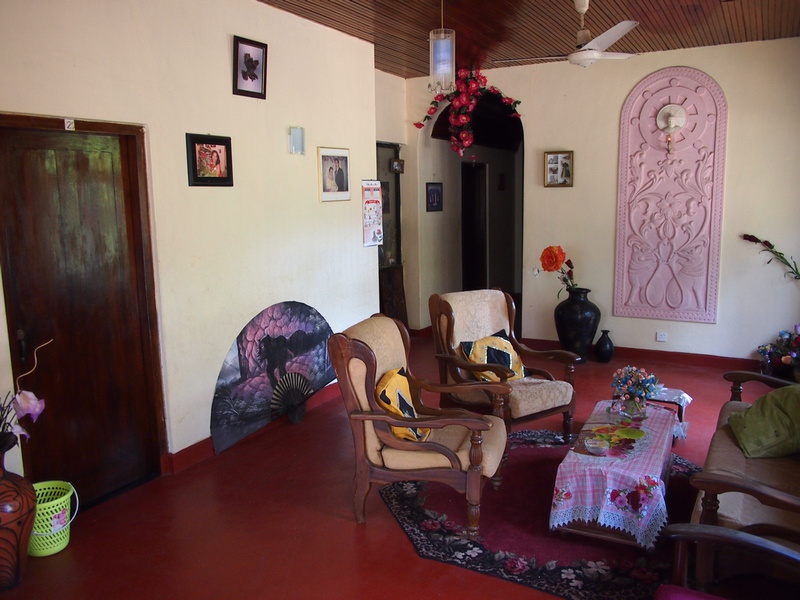 Browse for hotels in Hikkaduwa online before you go, and save yourself from visiting rooms sight unseen.